Did you know that Audio (majorly Podcasts and Audio books) today stands as the second highest form of content consumed online? 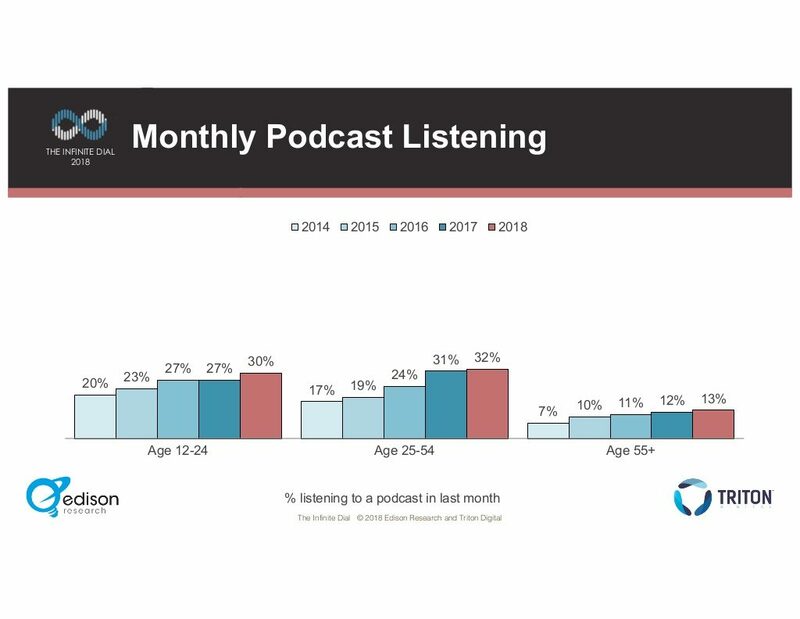 According to a recent research, the monthly Podcast listeners have grown from 17% to 32% year over year as of 2018, and are projected to only grow even more in the years to come. If you think about it, the reasons are quite clear. Firstly, Podcasts offer a unique experience, providing valuable and in-depth information to the listeners. Secondly, unlike reading that demands the readers’ complete attention, listening is simply more convenient and can be done passively, while other reasons such as listening allows content/information consumption while commuting, jogging, relaxing, or just on-the-go. And last but not the least, Podcasts go beyond the usual forms of content such as Social Media posts or even Blog posts/Articles for that matter. 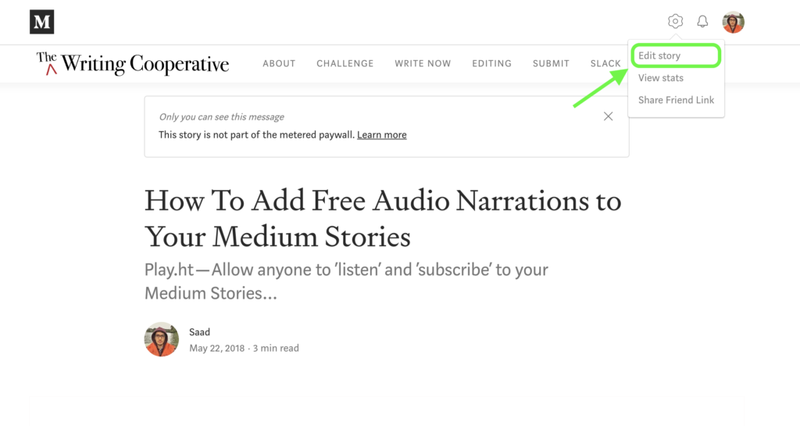 Medium.com is a thriving community of writers, thinkers, and storytellers with over 60 million unique monthly readers, bringing the smartest takes on core topics such as Tech, Culture, Politics, Business and Life. We have already addressed the importance of creating Podcasts. 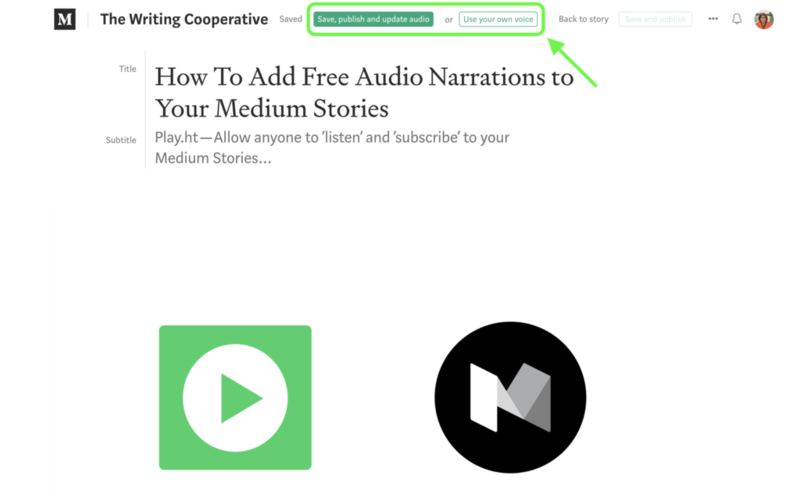 Let us dive right into how you can create Podcasts of your Medium articles, for free! Open the draft that you wish to publish and you will see a new ‘Publish now with Audio’ button. You can simply click this button and your draft will be published with an audio podcast. 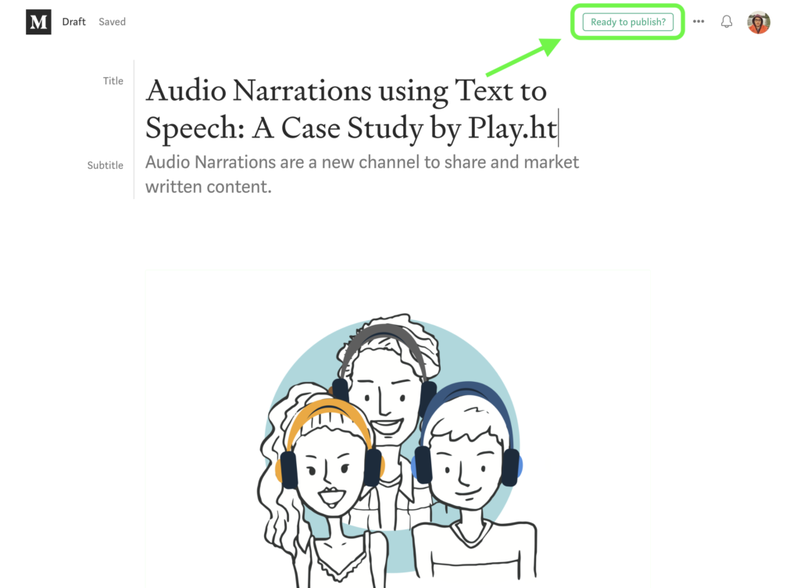 Click ‘Publish With Audio’ to add The Play.ht Embedded Player on your article! a. 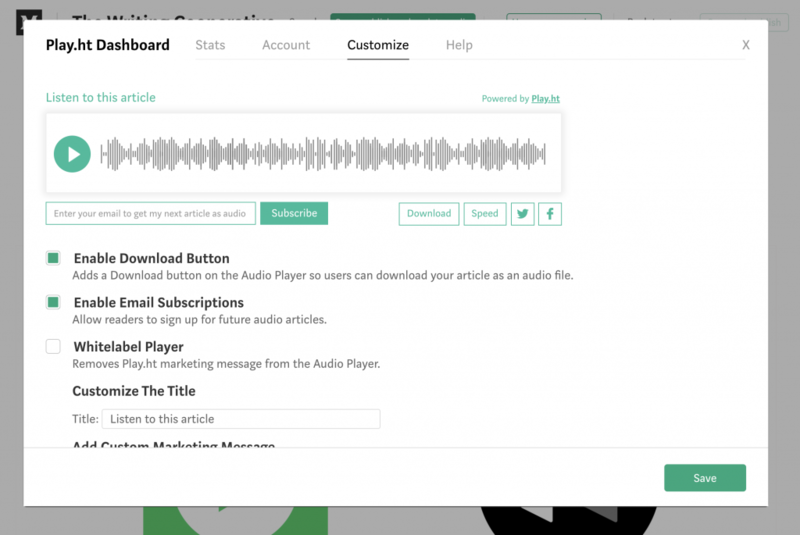 Allow your audience to subscribe to your Podcasts using Email Subscriptions feature. 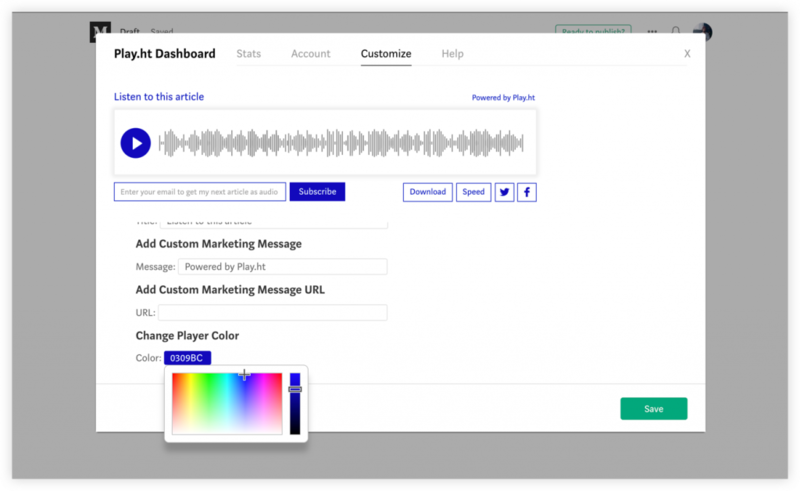 b. Change/customize the Podcast Player to suit your Brand or Personality. 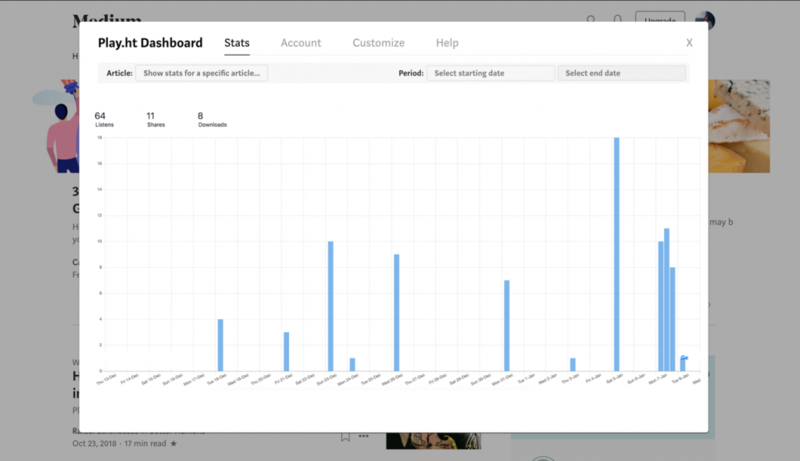 c. Track the Listens, Shares and Downloads of your Podcasts using the Stats tab. d. Get your Podcast on iTunes, Soundcloud, Spotify, etc. 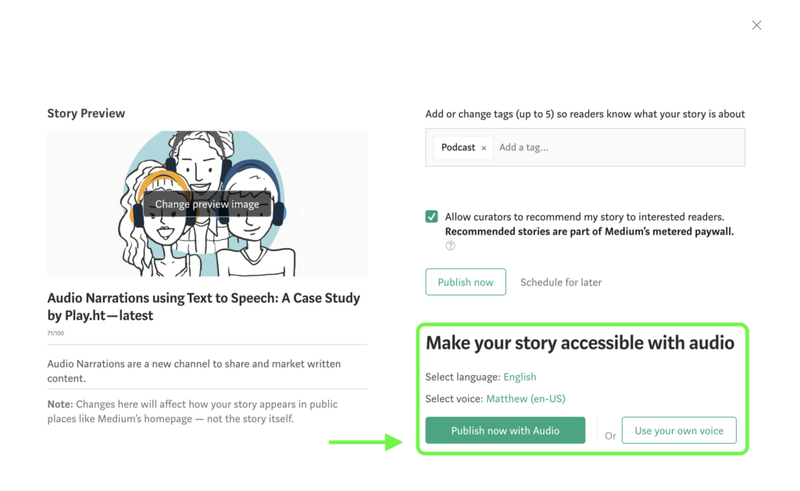 Creating a podcast on the Podcasting platforms requires an RSS Feed URL — a link that has information about Podcasts and its meta-data such as the title, description, etc. and is in XML format. With Play.ht, we generate the link so you can effortlessly publish on iTunes. Unlike the usual nature of long-form content, Podcasts actually defy the basic nature of content. What that means is that Podcast listeners actually spend extended amounts of time listening, making it not just an extraordinary medium for content consumption and engagement, but also allowing you to cultivate a deeper relationship with the audience. “Three percent of monthly podcast consumers listen to the beginning of a podcast only. By and large, podcast listeners are loyal and committed to hearing out the full episode.” – Heike Young, Salesforce.